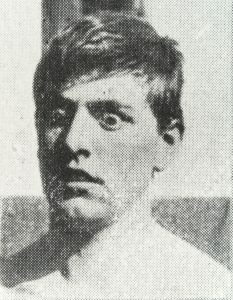 As seen in the previous post about John who died at the age of ten tuberculosis was a very prominent disease in the early-20th Century. 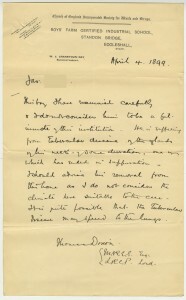 John died in 1905 when there was very little that could be done to combat the disease. 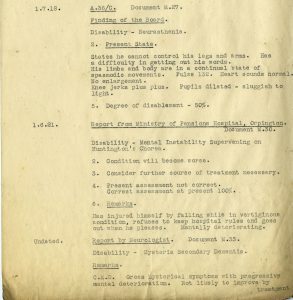 The letter below, from November 1950, shows how things had changed in the intervening years. 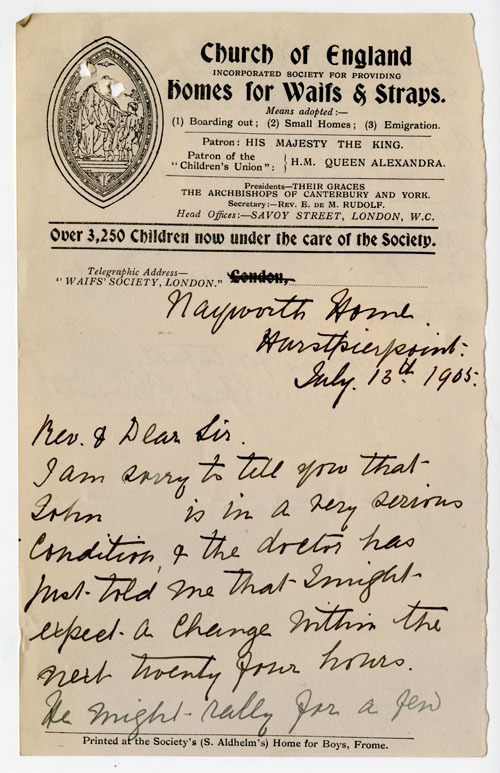 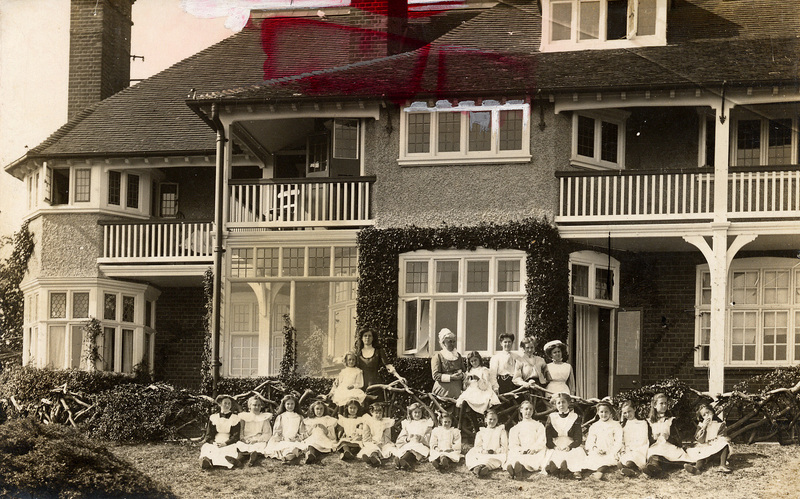 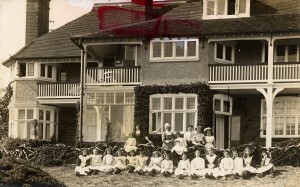 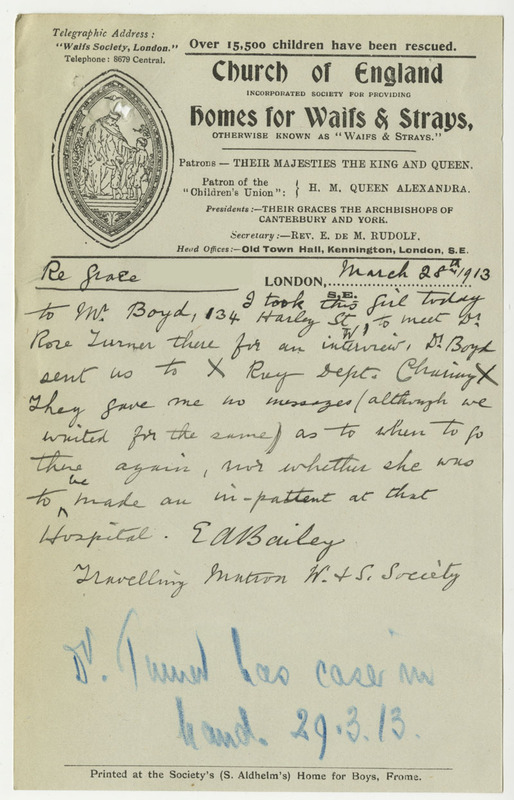 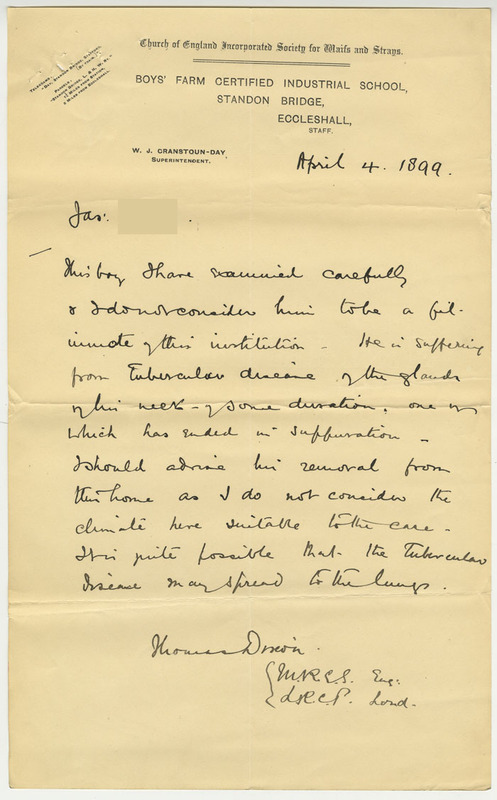 The letter was sent from one of The Children’s Society’s homes, HRH Princess Christian’s Training College and Infant Nursery, Windsor, and discusses how staff at the nursery were caring for children who had been in contact with people suffering from tuberculosis. 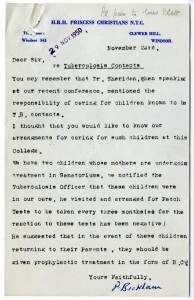 In this case, there were two children in the nursery whose mothers had tuberculosis. 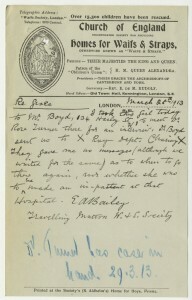 As the disease is so infectious, the children needed extra monitoring to see if they had contracted it. 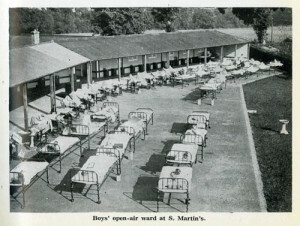 This highlights the fact that cases of tuberculosis were still very common in 1950, enough that specific procedures had to be put in place for those that had come into contact with the disease. 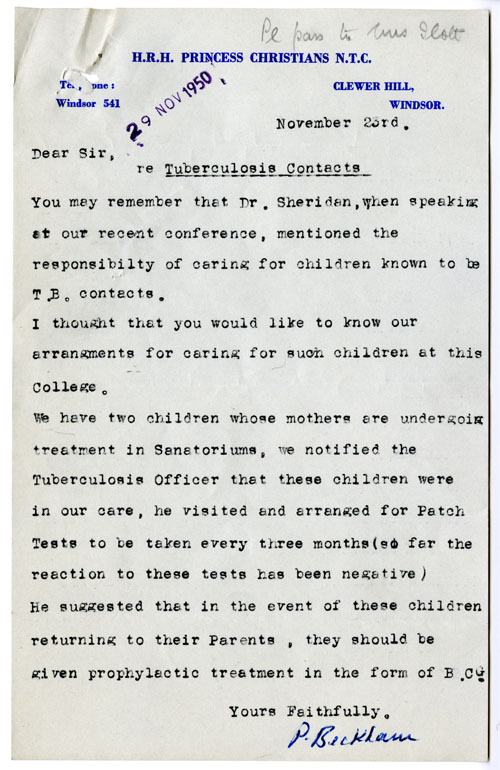 On reading the letter we can see that the children were monitored for tuberculosis by undergoing a patch test every three months. 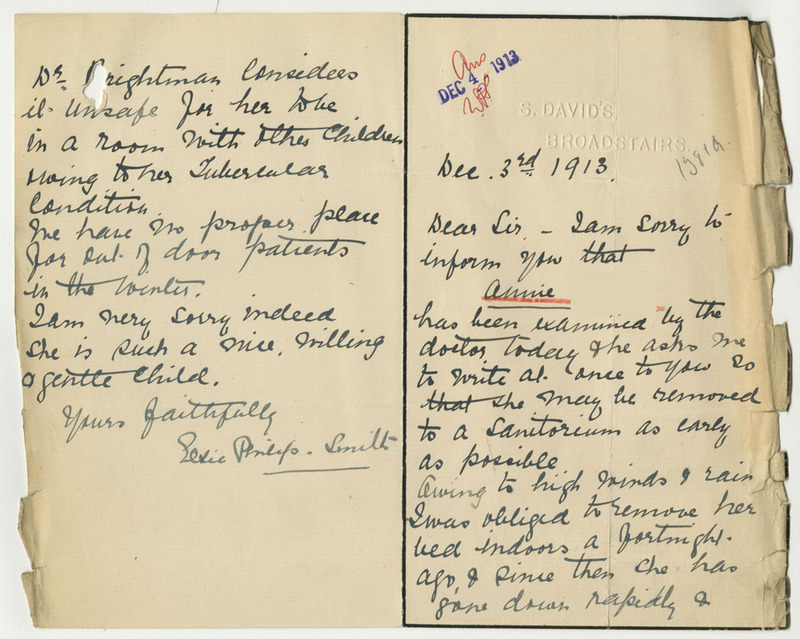 It also states that if the children were going to be returned to their parents, they should be vaccinated against the disease with the BCG (Bacille de Calmette et Guérin) vaccine. 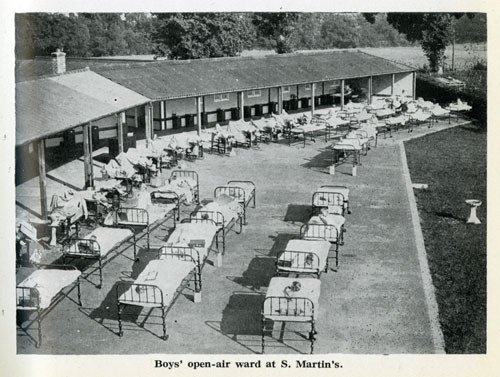 This represents a major development: in 1950, not only could tuberculosis be easily tested for, but it could be prevented through vaccination; a far cry from the ineffective preventative measures and treatments available in John’s day. 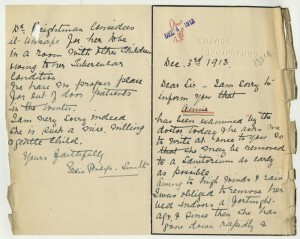 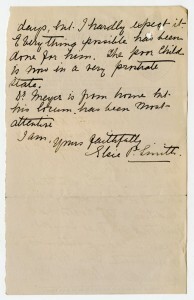 The letter comes from a medical file for HRH Princess Christian’s Training College. 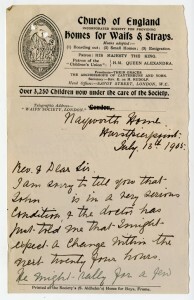 Similar medical files exist for a number of The Children’s Society’s children’s homes. 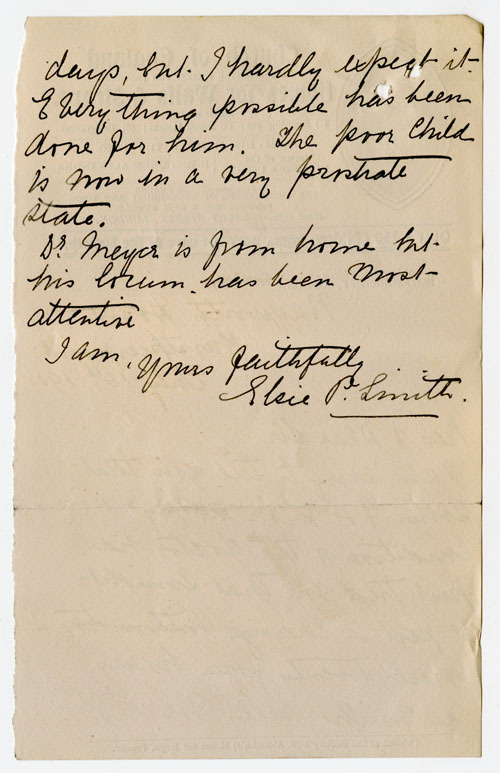 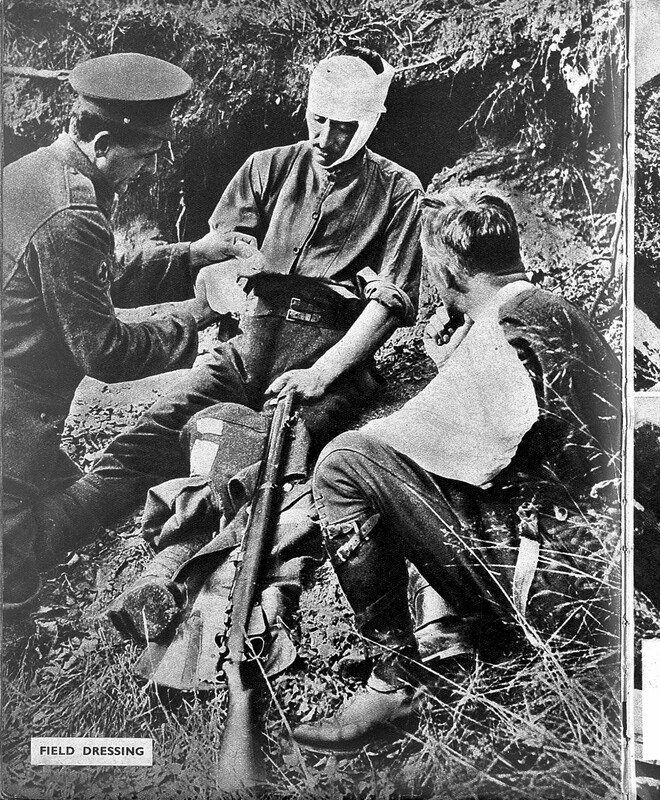 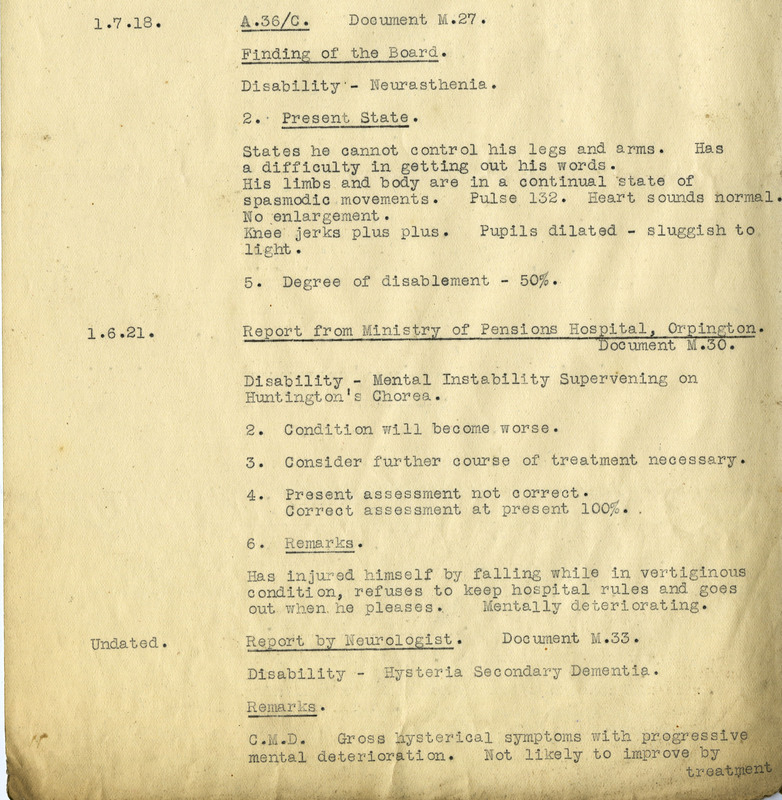 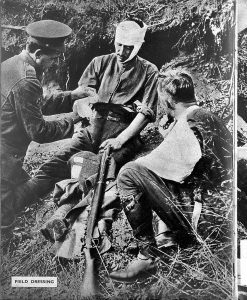 These files generally contain correspondence about the work of the medical officers for the homes, so they detail the routine of medical tests and check-ups carried out for the children in the homes as well as containing information about a variety of other treatments, tests and diseases.